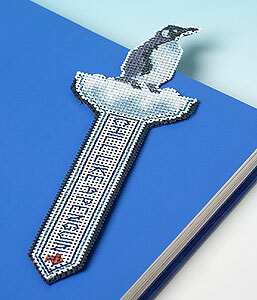 Named Monty by Iannis, the television presenter who launched this design, this penguin is seriously cool! End to end he measures 17 cms and the use of two colours of perforated paper gives him a look of distinction. Kit contains stitching paper, backing paper, stranded thread, needle, chart and full instructions.